Background: Tristan and his family, as well as his friend and his family, were guests at Kagga Kamma in 2016. 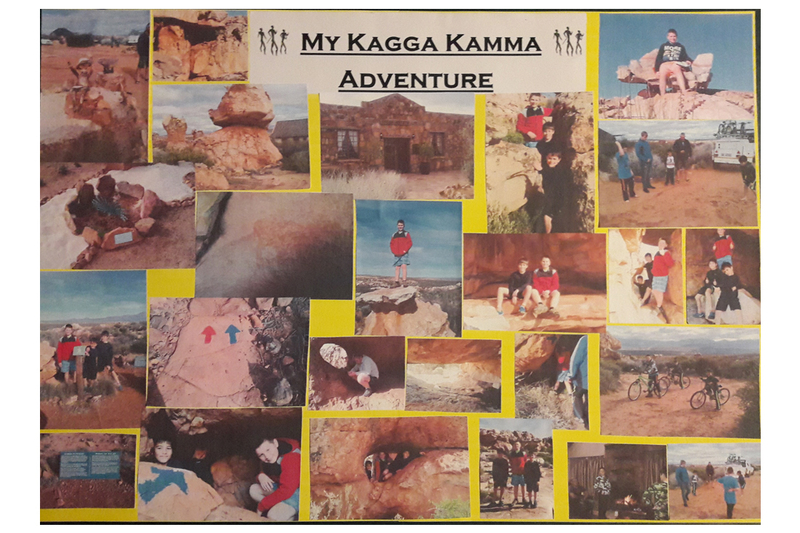 Tristan was required to present an oral in class this year and chose to speak about his stay at Kagga Kamma. 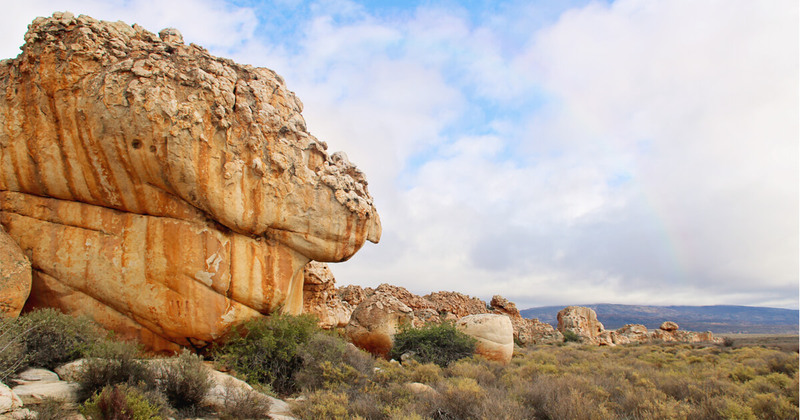 Continue reading below to experience Kagga Kamma through his eyes. Today I would like to share with you, a very special place I visited. On the 17th of June 2016 my family and I, along with my best friend Ethan and his family went away together on holiday. We all went to a place called Kagga Kamma Nature Reserve. Yes, I know…I also thought it was a very strange name, but Kagga Kamma is the name that the San tribes gave the area a long time ago. It roughly means “place of water” Kagga Kamma is a private nature reserve which is situated in the peaceful southern Cederberg Mountains. It is in a historical area that was once home to the traditional Bushmen. We drove along the gravel road to get to the entrance. There were rock formations everywhere. And each one was unique. When we finally got to the reception area… Wow!! The buildings were built of stone and all around it were rock circles with the strangest plants. There were also art pieces packed out of rocks. While we waited for our Moms, we couldn’t help ourselves – with all the open ground – we packed out our marbles and started playing. Even my big brother and Dad wanted to play. When we got to our beautiful chalet, we unpacked and luckily we brought our bicycles because we saw that this was the perfect place to go riding. It was safe and we couldn’t wait to take the road. After we had lunch we decided to go explore. There were rocks we could climb and paths we could follow. We played hide and seek and laughed all day. That evening we had supper and played games in front of the fire. Early the next morning we packed our backpacks to go explore the footpaths. It was scary at first as we were worried we would get lost, but there were arrows along the way to guide us. We walked along the route and found so many treasures. There were rocks we could climb over, rocks with big holes to climb through and rocks to climb under. Then we came upon the rocks with paintings on them. These were real bushman paintings done when the bushman still lived in this area. We were busy learning about the Bushmen at school – so it was great to actually see these drawings in real life. That evening we went to the lounge area of Kagga Kamma. There was a stairway which was built around the rocks and right at the top we could look over the whole area and see far into the distance. The view was amazing. When we were at the chalet we sat outside and looked at the stars. The star seemed to be brighter and also so many! It was beautiful. This was an amazing place – far from everything but there was so much to see, do and learn. We also got to see things that we would never forget. Contact us now to book your next family vacation at Kagga Kamma Nature Reserve.